We have multiple tubes available, each has a cap with hole for the odor to escape. 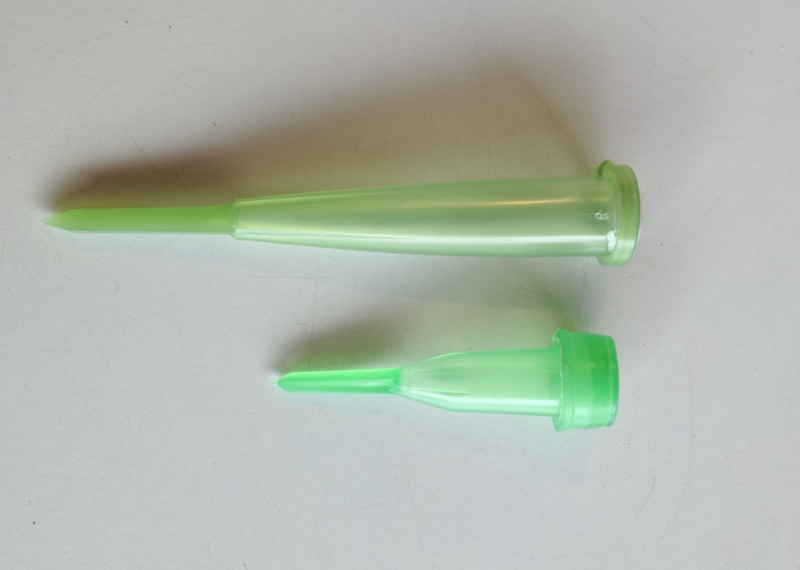 See our new 2.5″ green pik, works great for buried hides. Green floral -Translucent green floral tube with cap, 3.50”. These tubes are molded from unbreakable polypropylene plastic. Green Pik – Translucent green floral pik with attached cap, 4.25″ or 2.50″. These tubes are molded from unbreakable polypropylene plastic and have a pointed end for easy ground/dirt placements. Clear Test Tube – Clear polystyrene tube with cap, 2.2”. Printed Test Tube – Polypropylene tube with cap plus scent name printed on the side in large font, 2.2″. The Birch tube is lightly frosted, the Anise and Clove tubes are clear. 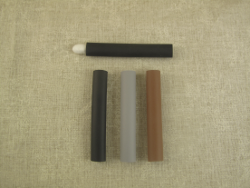 Graduated Tubes – Polypropylene plastic tubes with attached snap cap, 1.60″. Colors: clear, black, yellow, blue, green, amber, orange, purple and pink. Screw Top Tubes – Polypropylene plastic tubes with screw top cap, 2.0″. Colors: clear, black and amber. This flexible/heat shrink tubing slides easily into small spaces. It works best for searches utilizing sidewalk cracks, car door jambs, hinges, file cabinets, etc. 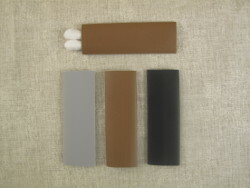 There are 3 colors available in each size, sold in a package of 5. 3.19″ x .47″ slim lip balm tubes with cap (no hole in cap). Currently one color available, black.